Select [Buy Now] and only pay the [Pre-Order] price of $2,799. The spacious design allows room for 2 sliding-door cabinets and 4 drawers for maximum storage. Interesting Information The wood is solid timber, opposed to walnut veneer. This makes the product far stronger, heavier and of a much higher quality. Solid Timber is more robust and the joints will withstand greater impacts or abuse. 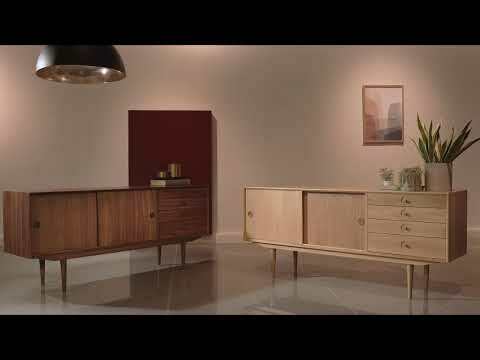 [Pre-Order], the expected Arrival Date in Australia is 15 May 2019 for the Jorgen Sideboard - Solid Walnut - 175x45x76cm (SKU: OW1246-PO).